The power of Smart Surface Science! Gtechniq, a UK-based company, manufactures a complete line of world-class surface care products that utilize the latest advancements in nano scale composite materials to deliver products that outlast and outshine the competition. Gtechniq was the first company of its kind to harness the power of Smart Surface Science. This enables Gtechniq surface care products to provide a level of shine and protection on treated surfaces that was previously unheard of. Gtechniq has gained a reputation around the world for delivering surface care products that deliver the maximum amount of visual impact. Gtechniq meticulously tests each product to the extreme to ensure that their polishes, cleaners and deep gloss coatings work harder, smarter and more easily than anything else you’ve ever tried. Utilize the power of Smart Surface Science and experience the Gtechniq advantage for yourself. Be sure to check out these and the other new items featured at Autogeek.net. Mike Phillips To Host New TV Show! Autogeek.net has teamed up with Masters TV to launch a new television series in 2011 called What’s In The Garage? The show will take host Mike Phillips, our very own Director of Training and dedicated car guy, into the garages of people all over the country to see their automotive treasures. The show will air on the FOX Sports Network at 11:30 on Sundays for 13 weeks during the second quarter of 2011. We’ll let you know the exact dates and times when it’s close to air time! Keep your ride clean! You just might receive a visit from Mike Phillips and the What’s In The Garage? production team! 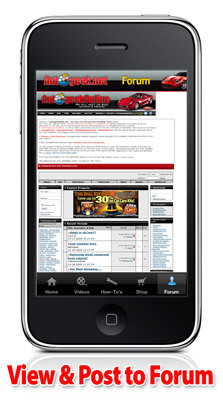 The Autogeek booth at the 2010 SEMA Show will be busting at the seams with some breaking industry news all week long! Since most of our forum members will not be in attendance, we are going to share some SEMA announcements here with you first!!! So here is our first big SEMA Show announcement!? 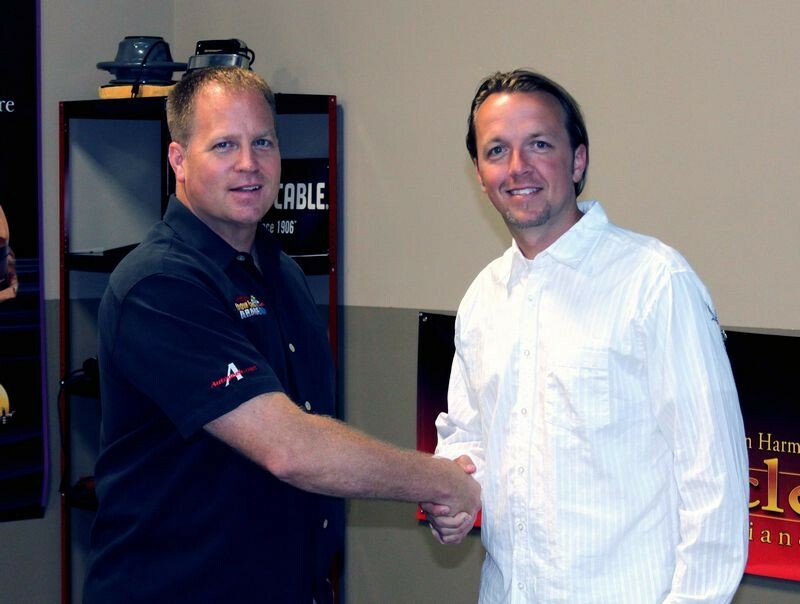 Matt Steele from Truck U on Speed TV has signed on to be be Autogeek.net’s National Spokesperson! 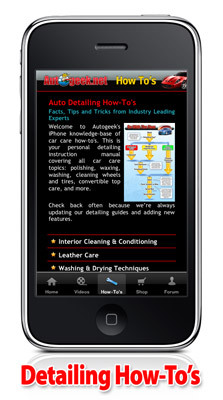 We are very excited to have Matt onboard with our Autogeek team to bring you the very best in car care! Matt will be teaming up with Mike Phillips on video projects, commercials, products information, and much more! A little info about Matt Steele so you can see just how great of a colaboration this will be! Matt Steele is a co-host of TRUCK U along with Bruno Massel. Matt Steele has been hosting motorsports events for the last 12 years?everything from local mud-bog races to Monster Jam events in front of sold out stadiums of 70,000 fans. In 2004, Matt Steele made the move to television as the Pit Reporter for SPEED’s Monster Jam. Over the years, Matt has worked closely with various production crews for live events and television, and released a full-length music CD in 2005. Matt is also the host of the Trucks Gone Wild! Traveling the world to some of the great mud fest events! So join us as we welcome Matt Steele to the Autogeek.net family! We have some very exciting things in store for all of you, so as always keep your eye on us you never know what to expect next! And for all of our loyal members you can see what a Matt Steele and the Autogeek union is going to look like! The Specialty Equipment Market Association (SEMA) annual trade show in Las Vegas is next week, Nov. 2-5! The SEMA show is the auto industry’s premier trade show, where the biggest names in automotive care and aftermarket accessories come to introduce new products, see the newest trends in car care, and meet with the brightest minds in the business. The SEMA show attracts more than 100,000 industry leaders from more than 100 countries to the Las Vegas Convention Center every fall. Max and the Autogeek team have been preparing for months because this year will be our biggest-ever display. Autogeek has reserved 3 booths in the North Hall. Our SEMA schedule is packed with special guests and announcements. 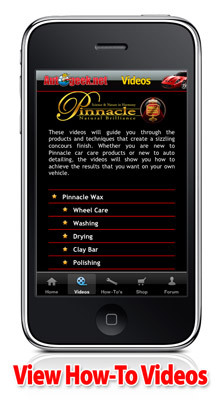 High profile guests from the world of detailing and television will be joining us in the booths to talk detailing. The Speed Channel’s Matt Steele from TRUCK U and Trucks Gone Wild will be making a special announcement about his future plans with Autogeek. Masters TV – the group behind Mothers Car Show, MotorHead Garage, Bidding Wars, Inside Drag Racing – will join us for their own big announcement concerning Autogeek! Mike Phillips , host of Autogeek Show Car Garage, will be making his own announcement concerning his future with Autogeek.net. Dennis Gage from My Classic Car will also be in our SEMA booth. Max is wearing a My Classic Car T-shirt today…wonder what he’s up to. We’ll find out at SEMA! SEMA is where manufacturers debut new products to the rest of the industry and the world. 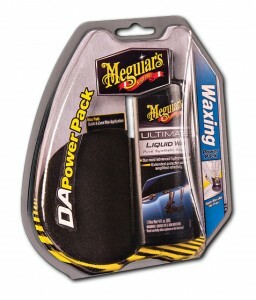 We’re expecting exciting new product announcements from Meguiars and FLEX, among others. Autogeek will have some news of our own to share. 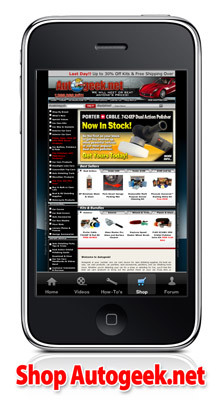 Be sure to follow us on AutogeekOnline.net, Facebook and Twitter for all the latest updates from SEMA! All of these announcements at SEMA will be filmed by Autogeek’s own production team at SEMA. If you can’t attend you will get all the news right after SEMA from the Autogeek Pay-Per-View channel. SEMA 2010 is scheduled for November 2-5, 2010 at the Las Vegas Convention Center. The SEMA (Specialty Equipment Market Association) show is the premier automotive specialty performance products trade event in the world featuring performance, accessories, restoration and motorsports products. It draws the industry?s brightest minds and hottest products to one place. Autogeek is exhibiting at SEMA for the sixth straight year but, like everything we do, we’ve raised the bar. This year we’re having THREE booths totaling 1,000 sq. ft. to showcase our products. Visit us in the North Hall of the Las Vegas Convention Center in booths 12645, 12639 and 12738. So far, Max, Mike Phillips, Jason, and Dwayne are confirmed to attend SEMA. More information is to come!